The following of chefs & restauranteurs who have been intrumental in shaping my career. Since the beginning of his celebrated career, Master Chef and hospitality entrepreneur Charlie Palmer has received critical acclaim for his signature Progressive American Cooking, a style built on rambunctious flavors and unexpected combinations with a deep and lasting infusion of classical French cuisine. Influenced by his childhood experiences working in his family's vegetable garden, Palmer was an early advocate of farm over factory food. In 1988, he made a landmark commitment to creating dishes featuring regional American ingredients at his sublime three-star Aureole, once situated in a historic town house off Manhattan's Madison Avenue. Today Palmer's flagship Aureole is strategically located within mid-town's dramatically modern Bank of America Tower at One Bryant Park. 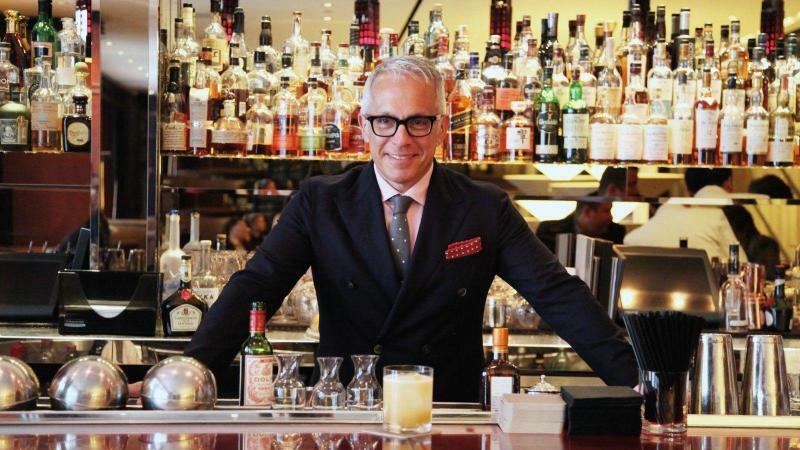 Over the years, Palmer combined his creative cooking spirit and flair for business to open twelve notable restaurants across the country, a growing chain of food-forward wine shops and award-winning boutique hotels. But even today, the chef still steps in the kitchen with reinvention on his mind. "Without a doubt, people eat with their eye long before they put fork to food, so I continue to look for a playful yet respectful way to create excitement on the plate." "...As a child, Hayden loved helping his mother in the kitchen; he later attended the Culinary Institute of America in Hyde Park, New York. Following graduation, he worked under chefs Charlie Palmer and David Burke at the River Café in Brooklyn. In 1988, Palmer recruited Hayden to be the sous chef at his new Manhattan restaurant, Aureole. Throughout the '90s, Hayden built an impressive résumé with stints at San Francisco's Aqua Restaurant, Long Island's East Hampton Point, and New York's Tribeca Grill, where he met Fleming, his future wife. In 1996, Hayden became the executive chef at Manhattan's Marguery Grill, which was soon named "Best New Restaurant" by Esquire. Three years later, Hayden returned to Aureole—this time as executive chef..."
He has then moved on to Amuse, and then to open The North Fork Table & Inn. A native of France, Chef Gras worked his way through a “Who’s Who” of Michelin-starred kitchens with Alain Senderens, Jacques Maximin, Guy Savoy and Alain Ducasse before coming to the United States in 1997 to take the helm at New York’s Peacock Alley in The Waldorf-Astoria. In 2001 he took the position of Executive Chef at San Francisco’s renowned Fifth Floor, where he was named San Francisco magazine’s Chef of the Year and Food & Wine magazine’s Best New Chef in 2002. At L2O Gras enriches his culinary perspective and French training by drawing from global cuisine and a repertoire of modern and traditional cooking techniques. As he explores the intricacies of fish and shellfish, he creates artful compositions that enhance the innate flavors of a singular ingredient. Collaborating with small artisanal purveyors around the globe, Gras is able to serve unique selections of top-quality ingredients such as hirame from the Hokkaido and Kinki prefectures in Japan, Spanish octopus from the Galicia region of Spain and codfish from Maine. Gras’ fierce attention to detail is felt throughout, as even the bread, naturally leavened, is made in-house as are staples like butter, yogurt and crème fraîche. "From a tiny child, I have always moved to the rhythm of a kitchen. I started hotel management school at Grenoble, and then furthered my training alongside Alain Chapel, Roger Vergé, Frédy Girardet, Michel Guérard, Pierre Wynants, Alice Waters, Michel Bourdin at the Connaught: the perfect career path and also one with a huge amount of variety. The premature death of my uncle Jean, was what brought my wife, Marie-Pierre, and me back to Roanne. We were somewhat happy go lucky but we did manage to win over our customers who had wondered whether the restaurant had a future. In 1996, we opened Le Central, more of a café-grocery. Then, in 2008, we opened La Colline du Colombier, a dream farm in the countryside. 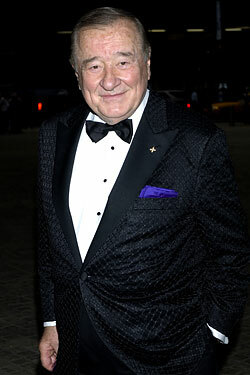 Sirio Maccioni is a living legend, a restaurateur extraordinaire who has wined and dined high society in New York for nearly half a century. Along the way, he helped launch the careers of many illustrious chefs - David Bouley, Daniel Boulud, and Jacques Torres among them - and befriended a host of celebrities in the arts, politics, and business, from Frank Sinatra and Frank Zappa to Nancy Reagan and Ivana Trump. "I'm an American chef and restaurateur who lives and cooks in New York City. I've been in the game for twenty years, and I've cooked in some amazing places and tasted some amazing things. I love to cook food from all over the world, but for the last few years, I've been into Italian food. For me, cooking is all about having a good time and making people happy. I started cooking at age fourteen at a local Italian joint and then a fine-dining French place on the lake in my hometown, Cleveland. I moved east to train at the Culinary Institute of America, where I spent my weekends cooking for New York Governor Mario Cuomo in Albany. When I finished school, I spent some time on the line at San Domenico in New York; then I went to Italy. 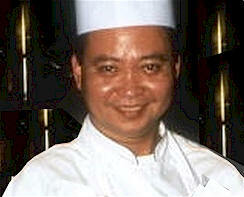 I worked for Valentino Mercatile at the Michelin two-star San Domenico in Emilio-Romagna and some various other spots. I hunted truffles, cooked with pasta-makers, and hung out with wine, cheese, and prosciutto-makers, learning everything I could about Italian food. Back in New York, I worked with Gray Kunz at Lespinasse for 3 years, then went back to Europe, living and cooking in France and England. I came home to take a sous chef gig at the newly reopened Le Cirque. And I took long food-hunting driving trips across the USA, looking for the best regional American road snacks, from barbeque to root beer to po-boys. 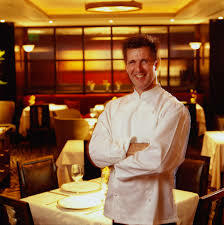 In 1998 I took the stoves as chef de cuisine at the Café Boulud. Six years, two James Beard awards, food and Wine Best New Chef and one three-star New York Times review later, I moved to Madison Square Park and launched A Voce, where I cooked from 2006 to 2008 and won my first Michelin star. I also produced my first book, Urban Italian: True Stories and Simple recipes from a Life In Food, available in fall 2008 through Bloomsbury Press. I've appeared on bunch of TV shows, including Martha, Iron Chef America, and Sara Moulton--plus a lot of local NYC stuff..."
I welcome your questions and feedback. Please see my Contact page for complete contact information.